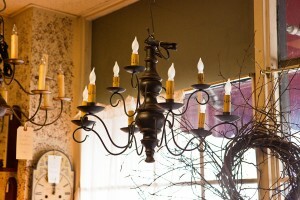 You can burn your own candles in this punched tin candelabra chandelier. 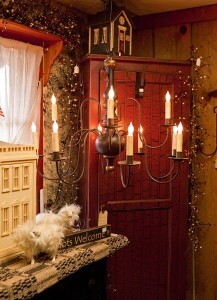 We carry Katie’s primitive colonial lighting, handmade in America. 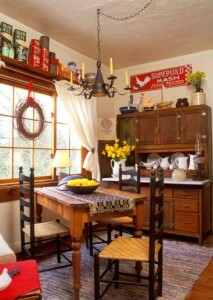 American at Heart lighting brings a warm glow to your country home. Most of our lighting is made in the U.S.A., the majority of which is from Ohio and Pennsylvania. 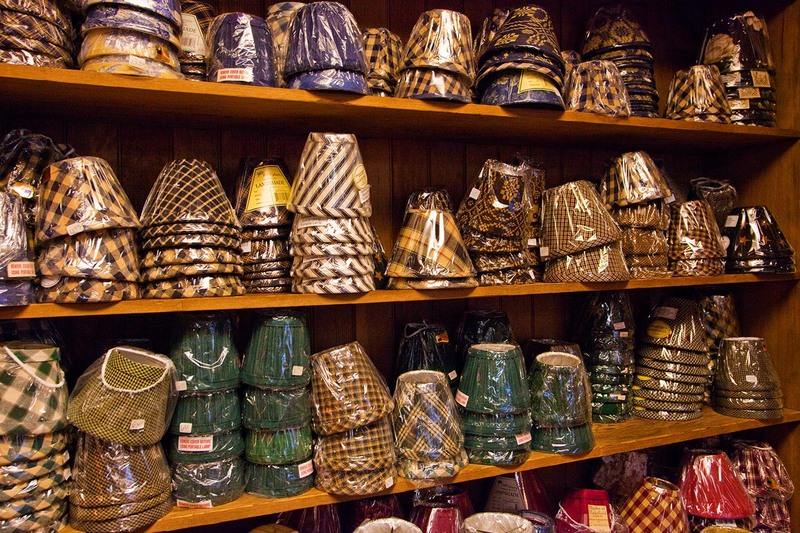 We also have over 1,000 lampshades in stock. (CLICK IMAGES TO ENLARGE). 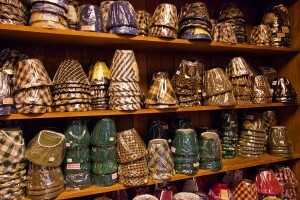 Lampshades in every color, style and size imaginable. 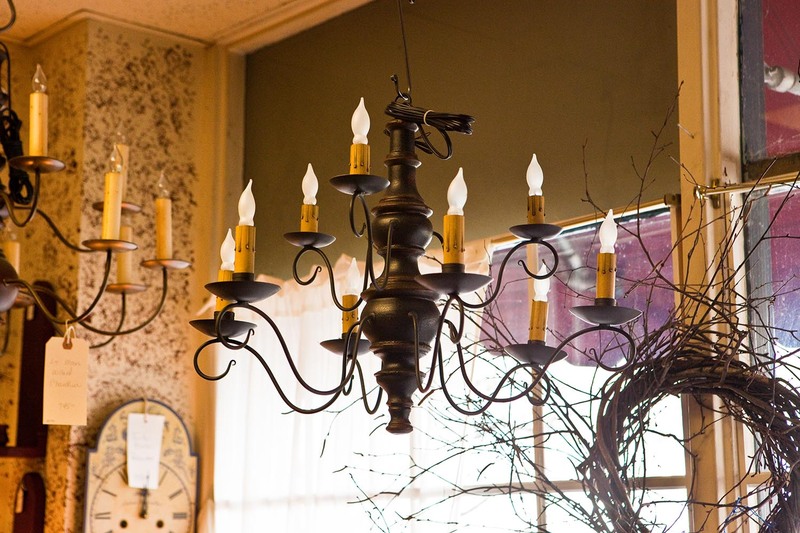 Chandeliers in all sizes, finishes and styles will add a shining touch to your country home.